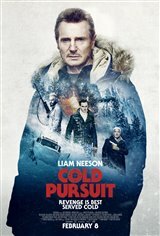 This movie was bad and Neeson was slept walking through the whole movie.The script was poorly written, There was no excitement to be had through out the whole movie. What a waste of my money and time. I expected another "Taken", but it is completely different. I didn't expect the humor...but it made the movie light. Yes, there is violence, blood, and some face pounding. If you're looking for an action flick filled with anger and hostility, skip it. But if you'd like a laugh or two in a vengence movie...(something totally unexpected)...go on in. All I can say about this movie is that it wasn't as bad as "Catwoman". This is a one time flick movie .... you watch it and forget about it...I like how there is always one or two people that have no taste in movie and think every movie is the best movie ever made....how delusional pathetic they are. I cannot give even one star for this monstrosity! This is a bad film. Do not give up your hard earned cash for this tripe. Even Laura Dern left this film without giving Liam a reason why. The bad guy is a doofus. The sub plots are ridiculous. The action is lame. The setting? Well, that was the best thing about the film. If you wanted Taken, there is none of that tension. If you want a movie with a half assed attempt at the Coen Bros dark humour, look no further. There is an awful line in this film about hostages and the Stockholm syndrome. I kinda felt the same way. I wanted to leave but I still wanted to watch this train wreck of a movie. I warned you! This movie wasn't even black humour, just poorly timed humour, right to the last scene. the acting was blah, the cast was good but sadly their was no story line, no plot, no build up, no dialogue, you didn't care about anybody, but maybe the kid (who just disappears in a giant snowplough at the end) just senseless murders and some bizarre cross drug trafficking between whites and Native Americans.. WT#? Liam, get a real job! Very good action movie with some humor mixed in. Not a serious drama. Disappointed. Desensitized violence. Loved Liam's Taken movies but this movie wasn't worth watching. Liam was the obvious choice for this movie. He does revenge so well. It was different in that he was not a highly trained agent but an extremely pissed off father who tried to avenge his son while clearing his reputation. Excellent story, scenic shots and humour. You will be entertained. Dark comedy , funny at times but not silly, not offensive . We all could have actually walked out - My boyfriend fell asleep, which was the most entertaining portion of the night. Time to hang it up, Liam. You and Shimalya haven`t made a good movie in decades. Maybe get a time share together. This is another dog of movie. Turned into a comedy..funny but I prefer Liam as the hero, the good guy..he was killing left & right! Perhaps the worst movie I have ever seen! Worst movie of this type I have ever seen. Neeson had better hurry and make Taken 3 before this ridiculously made movie ends his career. Liam Neeson did a terrible job with this movie. Nothing compared to Taken. The movie is well made . The story though like all Liam Nelson’s movie was revenge.I loved the movie and I like to watch it again. I liked this movie very much and thought it build up to a really good ending. Sorry some people had a cow about certain scenes. Horrible movie. Save your money!! Liam Neeson did a great job. There were so many plots going on you really had to pay attention all the time. I liked the dark humor side of the movie and the last scene was hilarious. Worst movie he ever made. This was a really stupid terrible made movie. Nothing like his Taken movies which were great.. I was shocked that there was gay men making out what the hell was that!? There was no on the edge of seat exciting parts at all. The movie looked like something a kid put together.. When the gay scene started We almost walked out for the first time in my life. We only stayed in awe just to see how much more stupid this movie could get and yes it got even worst. Please don't waste your money to see gay scenes. I am a BIG fan of Liam Neeson. This movie just lacked something. Never go going IMO. Beautiful scenery. One of his worst performances to date. Luv'd this movie! Beautiful scenery, humor, action, and revenge on the drug dealers all in one great film. I saw this movie twice and both times people were laughing and gasping at appropriate times. Good to see the drug dealers taken out rather than glorified. A brother died for a brother, so the brother could do good - not something in movies today. Highly recommend. very enjoyable flick. Lots of badguys getting whats coming to them . And lots of humor added in . It was like a cross between Fargo and a Quentin Tarantino flick .